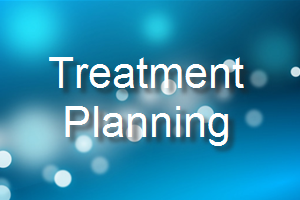 One of top five findings during a Joint Commission Survey is Treatment Planning. When one of easiest way to meet these four elements to have a “Treatment Plan Cover Sheet” which includes a Problem List. On the Problem List the clinician lists the Assessed Needs that were identified in the Assessments of the Client. These assessments include but are not limited to Physical, Psychosocial, and Spiritual Assessments. The clinician will then determine if those Assessed Needs of the client will be address in treatment, referred to another provider of care and/or deferred to a later time to be addressed. The “Treatment Plan Cover Sheet” will include a list Strengths and Challenges/Barrier for the client. This could include a Pre-Populated list with then several blank spaces to allow the clinician to write a Strength or Challenges/Barriers of that client which was not on the pre-populated list to individualize the list. The “Treatment Plan Cover Sheet” will include a list of Assessed Preferences include any Preferences that the client may have in learning new skills and/or how they learn. An example of a Goal, “Mary stated, “I would like to have 30 days of clean time before I leave treatment because I never been able to stay clean for more than two weeks in the past six months.” Mary had stated that last year when she had 1 year of sobriety she had a sponsor and was going to five meetings a week. Mary stated, “I feel like if I had a sponsor and homegroup I would be able to stay clean after treatment”. Long Term Goals should be concrete and measurable. At the end of treatment the clinician should be able to assess the client’s outcome to the goal. Was the Goal Attained? If the goal was not attained was it included as part of the discharge planning process for continuation of care. The Objectives should be able to measure specific incremental steps to achieve the goal; specific to assess the progress and/or lack of progress or increase or decrease the problem; expressed in terms that provide guidance of progress. Questions is ask a client for their input into writing the objectives are: “ How will we know that you are improving”, “How will you be behaving differently”. The objective is the desired behavioral change for the client. Attend an AA/NA meeting, ask a woman to be her sponsor, and obtain her phone number. Identify 5 Relapse Triggers in group with peers and share 5 Relapse Prevention Skills she has learned to prevent a relapse. Mary will remain abstinent from alcohol and drugs while in treatment. The treatment plan shall include goals and related measurable behavioral objectives to be achieved by the client, and the tasks involved in achieving those objectives. The treatment plan shall include the type and frequency of services to be provided, and the expected dates of completion. Treatment Plans also include Intervention by the staff (what is the staff going to do to assist the client in meeting the objective) date start, target date, status/evaluation date. THINK YOU CAN NOT AFFORD A CONSULTING FIRM?